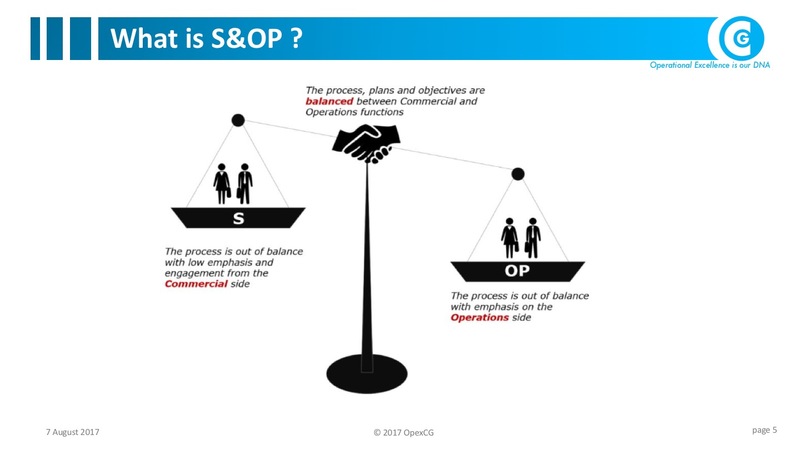 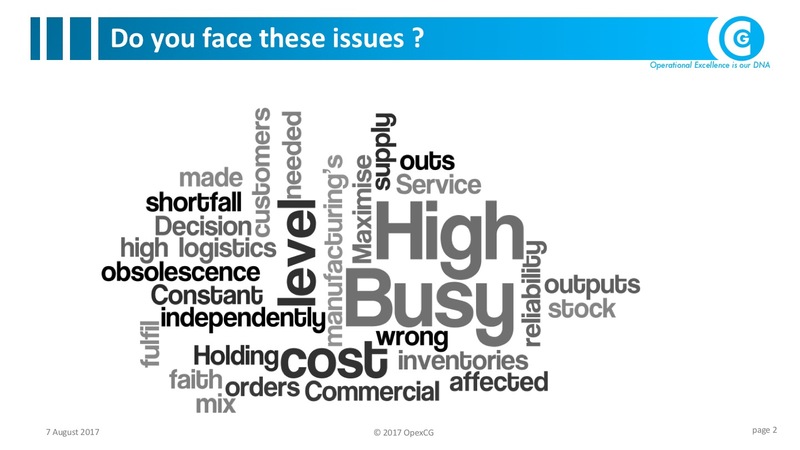 S&OP Singapore | Optimize Your Operation & Planning Processes. 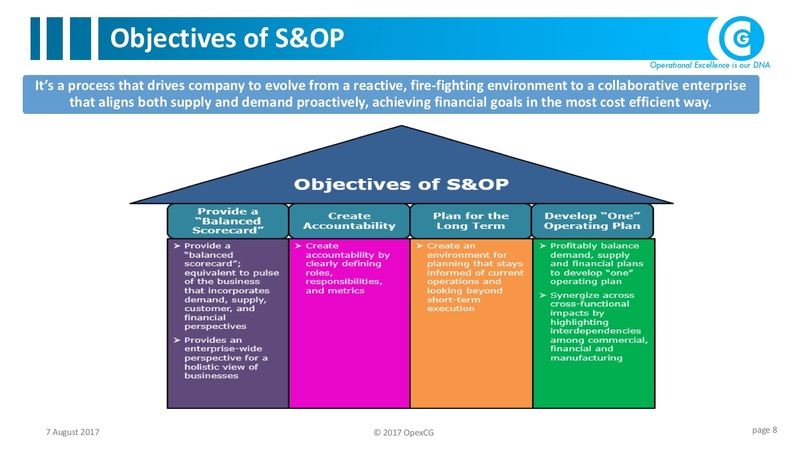 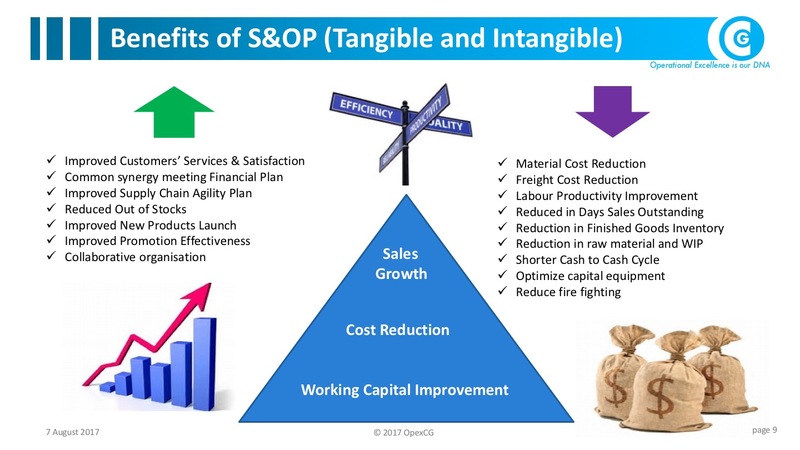 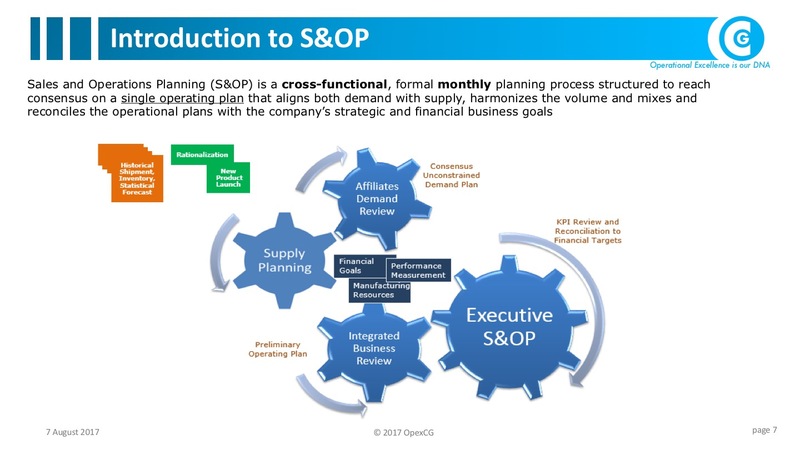 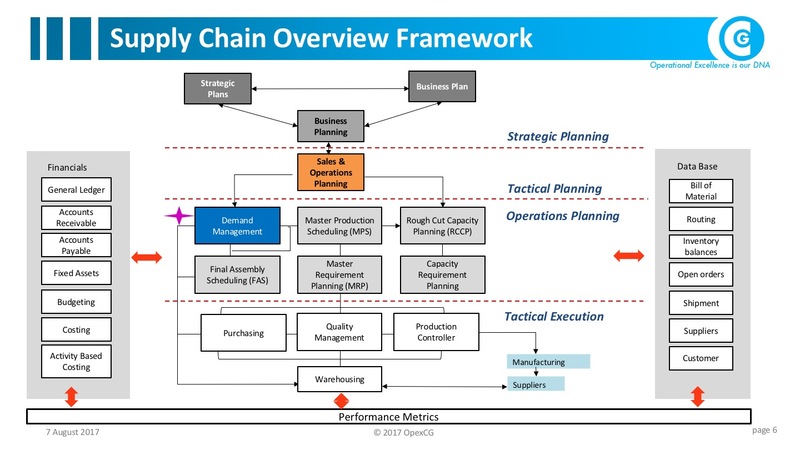 Sales and Operations Planning (S&OP) is a cross-functional, formal monthly planning process designed to reach consensus on a single operating plan that matches demand with supply, balances volume and mix, and reconciles operational plans with strategic and financial business goals. 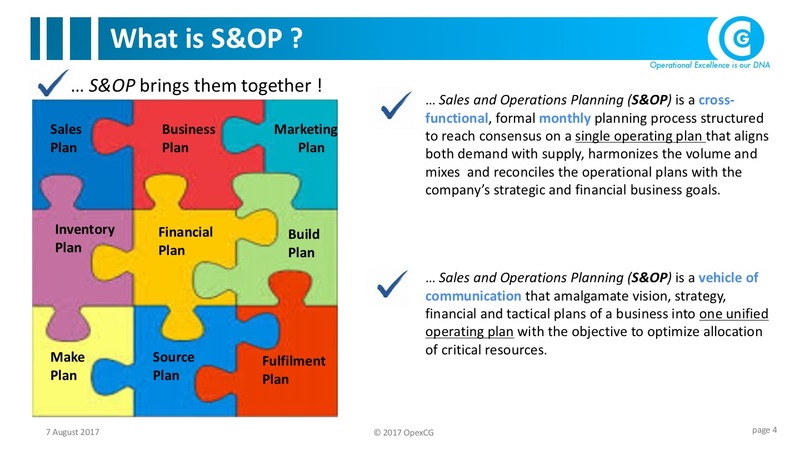 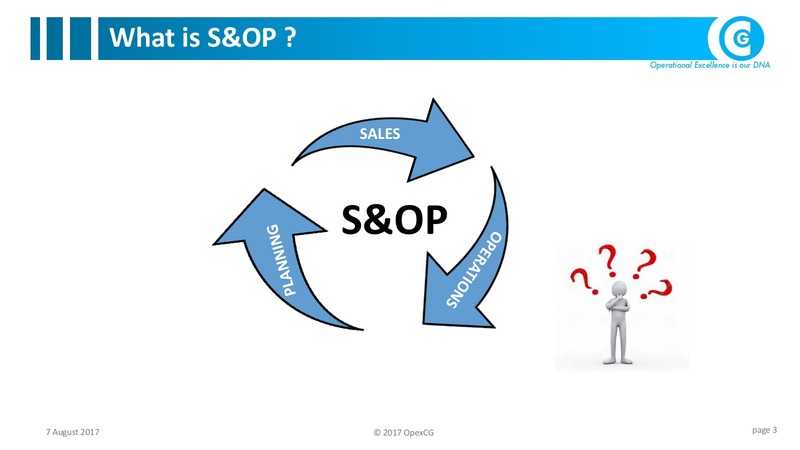 Sales and Operations Planning (S&OP) is a vehicle for communication that puts the vision, strategy, financial and tactical plans of a business into one unified operating plan in order to optimize the allocation of critical resources.